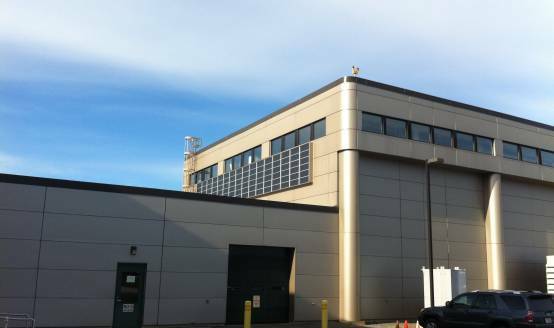 In 2012, Shift Energy was contacted by the team of New England Energy Solutions (GC) and Industrial Roofing Company (IRC Solar) to provide a solar heating solution for the Air National Guard in Bangor, Maine. 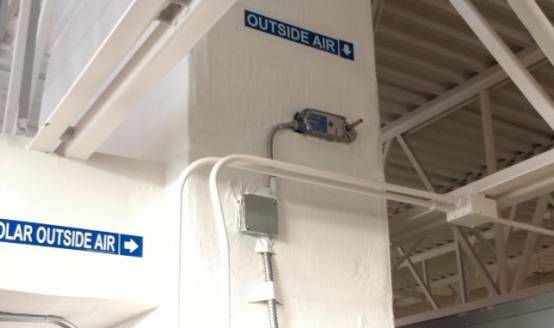 The project involved two separate Lubi™ wall mounted solar heaters that provide space heat and ventilation to two separate hangars at the Air National Guard facility. 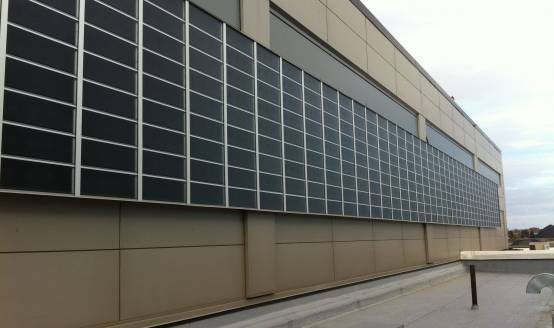 The result is a significant reduction in energy consumption, and a unique and perfectly integrated solar heating solution that blends seamlessly with the existing insulated aluminum panel facade. 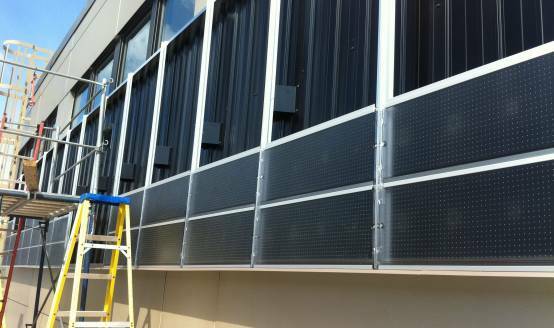 Our crews at Shift Energy provided ductwork installation support, and performed all aspects of solar design with the assistance of Enerconcept Technologies using the Lubi™ system. This project is a wonderful representation of how solar can be integrated into facilities with architecturally rich and incredibly energy efficient results!